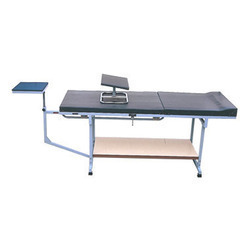 Leading Manufacturer of quadriceps table, examination traction table and traction treatment table from New Delhi. We are instrumental in providing our clients a comprehensive range of Quadriceps Table. Our professionals only use high grade raw material and sophisticated technology while manufacturing the entire range. In order to ensure the quality of these tables, our quality controllers perform a series of test against various parameters. In tune with international standard, we provide these tables in various customized options, as per the diverse needs of our clients. By keeping track of the latest developments, we are providing Examination Traction Table. The offered beds are widely used in hospitals, clinics and other areas. These are robustly constructed using quality approved raw material and advanced techniques. To meet the diverse requirements of our esteemed clients, the offered range is available in different specifications & checked by quality experts for defect free delivery to the clients. Furthermore, clients can avail the offered range from us in customized design and at the most reasonable prices. 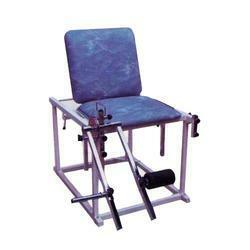 From our wide range of products, we offer optimum quality Traction Treatment Table. The offered tables are manufactured using optimum quality raw material and high-end technology. 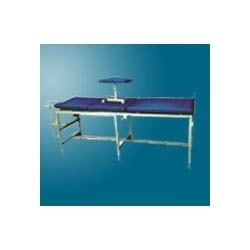 These tables are widely appreciated for their durability and long service life & widely demanded by government hospitals and private nursing homes. Apart from this, our offered tables are rigorously tested by our experts on well-defined parameters to deliver a flawlessness range at our client's end.